Hey friends! Today I’m going to share with you just a little something that I love. Prizeys! (That is what we call them in our family. 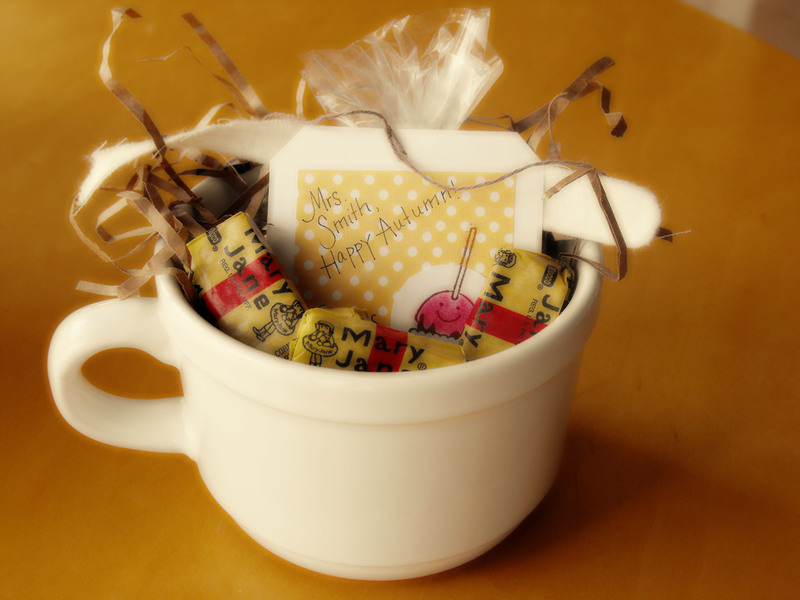 They are little gifts that someone gives you for no reason.) 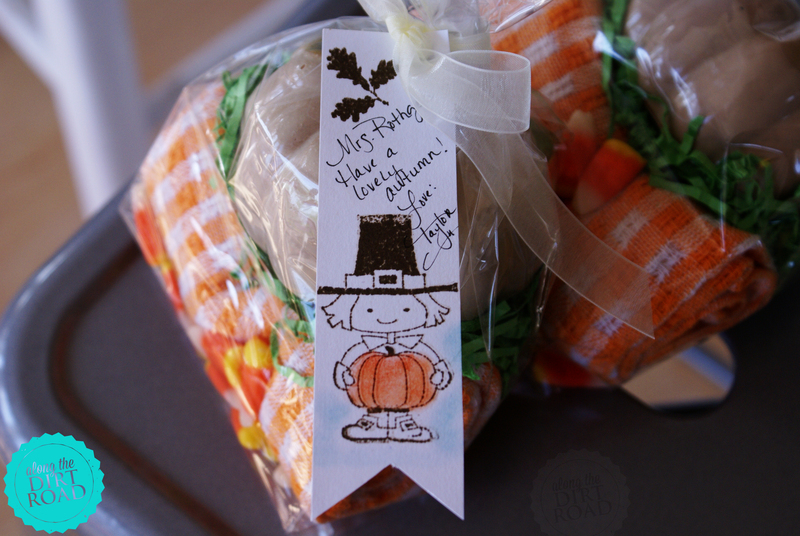 I love to take little fall treats to our kid’s teachers. Most years I try to take treats around the first day of fall buuuuuut… this year, I took them when they had their Halloween parties. Whatever the occasion it’s a very fun thing to do and it makes someone else feel special. It’s a win/win taking treats for another person. Especially teachers, right? RIGHT! They deserve a treat! I love to do treats in cello bags. I am also crazy about stamping and making my own tags. I will try to get Christmas treat ideas up and running ahead of time, just in case you need a little inspiration. These that I made for the teachers would work for Thanksgiving too. So fun and easy. 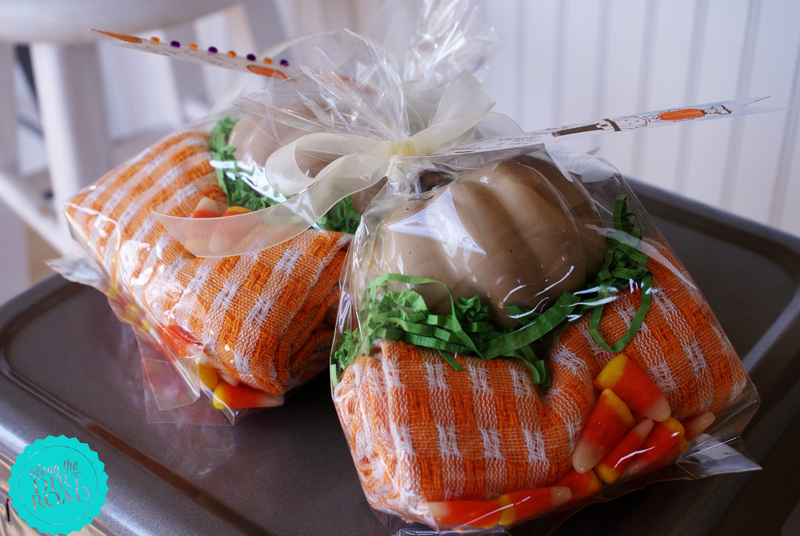 A cute little kitchen towel and a pumpkin from the Dollar Tree. This was from last year. I love the old fashioned looking Mary Jane candies. I put them out in little bowls around our home in the fall. 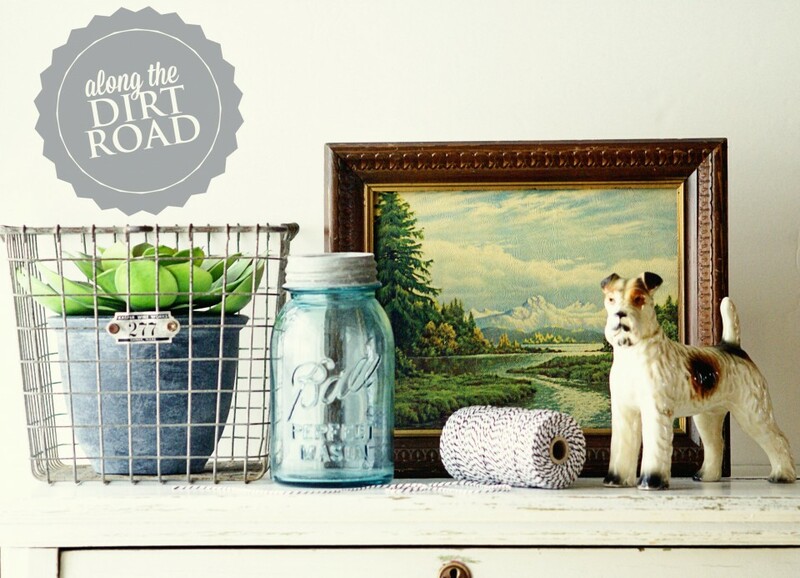 Happy Wednesday, Dirt Roadikins! Have a very blessed day!